With rich detailing reminiscent of crown moulding, Memoirs brings classic architectural style to your bathroom. The bath is constructed of durable cast iron with a slip-resistant bottom coating for many years of reliable use. Pair this timeless design with other products in the Memoirs collection for a sophisticated bathroom ensemble. Petite 4.5 ft. 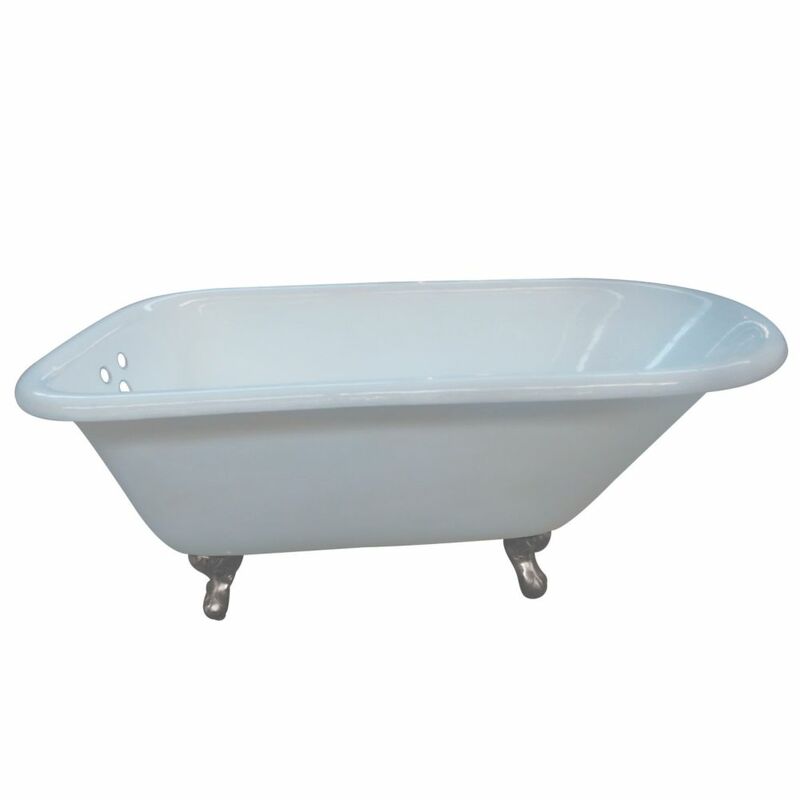 Cast Iron Satin Nickel Claw Foot Roll Top Tub with 3-3/8 inch Centers in White This 54 inch cast iron bathtub is perfect for those who want to place a tub in a smaller space and still enjoy all the benefits cast iron has to offer. The classical roll top tub adds a vintage touch to your home bathroom. With timeless styling and ornate tub feet, this tub will provide warmth and durability because of its cast iron construction. With 3-3/8 inch faucet drillings on the tub wall, the tub filler can be mounted directly to the tub. Petite 4.5 ft. Cast Iron Satin Nickel Claw Foot Roll Top Tub with 3-3/8 inch Centers in White is rated 5.0 out of 5 by 1. Rated 5 out of 5 by tub from perfect size for my small bathroom. beautiful finish & nickel claw feet are great. perfect size for my small bathroom. beautiful finish & nickel claw feet are great.